Event for writers at the Chapel Hill Library. Brief note to let you know that I’m on a panel next week that is free and open to the public. If you plan to attend, please register via this EventBrite link as the North Carolina Writers Network is using registrations to ensure an adequate room is set up for the panel. These days there are so many options for publishing and so many questions to answer. Why publish traditionally versus independently? Why get an agent? Why not? How do you find one? What does it take to work with one? Publishing is a marathon with as many ways to run it as there are people. Join Piedmont authors Tara Lynne Groth, Russell Johnson, Stephanie Moore, and Nancy Peacock as they gather to talk openly with moderator Lyn Fairchild Hawks about the challenges and successes found along various paths. After discussion and a Q & A, participant will also do a brief reflection exercise about personal writing goals, obstacles, and opportunities as they think about moving forward in their own journeys. Lyn Fairchild Hawks is the author of the young-adult novel, How Wendy Redbird Dancing Survived the Dark Ages of Nought, and the short story collection, The Flat and Weightless Tang-Filled Future. She is the author of education books and was awarded a 2012 Elizabeth George Foundation grant. 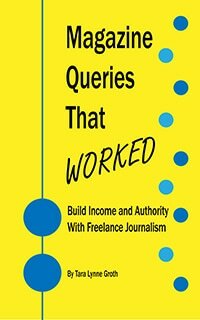 Tara Lynne Groth is a freelance journalist and author of Magazine Queries That Worked: Build Income and Authority With Freelance Journalism. She is also the author of three poetry collections. Her short stories and poetry have appeared in multiple journals, and she was semifinalist for the 2015 and 2016 James Applewhite Poetry Prize. Russell Johnson is a crime and thriller author represented by Bob Mecoy of Creative Book Services. Russell’s debut story, published in Ellery Queen Mystery Magazine, won the 2015 Edgar Award for best short story by a new author and his short fiction has also been nominated for a Pushcart Prize. His novel in progress was a finalist for Killer Nashville’s Claymore Award. Stephanie Moore is a produced screenwriter whose original movie, “Life-Size,” for ABC starred Tyra Banks and Lindsay Lohan. She is a teacher with the UCLA Professional Program in Screenwriting and the Hollins University’s Screenwriting and Film Studies Program, and the recipient of the Harve Bennett “Written By” Prize in Screenwriting as well as the Harmony Gold Award. She is also a novelist and the winner of the Algonkian Conference Award for Best First Novel. Nancy Peacock is the North Carolina Piedmont Laureate and author of The Life and Times of Persimmon Wilson, winner of the 22nd annual Writer’s Digest Award for Best Self-Published Book, now published by Atria Press. She is also author of the novels Home Across the Road and the New York Times Notable Book Life Without Water; and the memoir, A Broom of One’s Own: Words on Writing, Housecleaning, and Life.